USA Today has teamed up with United States Tour Operators Association (USTOA) and CroisiEurope Cruises to brings you the USA Today Discover the Great Bordeaux Wines Cruise Sweepstakes where they will be giving you the chance to Discover the Great Wines of Bordeaux” 6-Day cruise for two (2), departing from Bordeaux, France. Prize package includes double-occupancy accommodations aboard the cruise ship for five (5) nights, all onboard meals, scheduled excursions, and a $1,000 airfare credit. Total ARV of all prizes is: $4,844. Visit this link:USATodayNetwork Contest to go to the sweepstakes page. 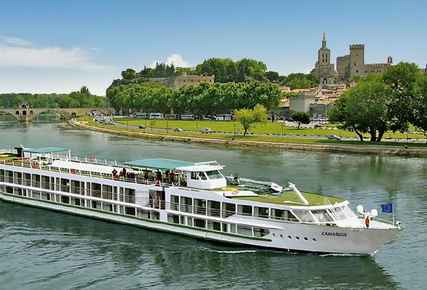 Prizes You Could Win: One lucky Grand Prize Person will have opportunity to receive a CroisiEurope Cruise “Discover the Great Wines of Bordeaux” 6-Day cruise for two (2), departing from Bordeaux, France. Prize Includes double-occupancy accommodations aboard the cruise ship for five (5) nights, all onboard meals, scheduled excursions, $1,000USD airfare credit (Total ARV Of All Prizes is: $4,844). Who Can Enter: This sweepstakes is open only to legal residents of continental U.S States who are twenty one (21) years of age or older at the time they enter the sweepstakes. When To Enter: The USA Today USTOA Discover the Great Bordeaux Wines Cruise Sweepstakes entry begin at 11:59 a.m. (E.T.) on June 4, 2018 and end at 11:59 p.m. (E.T.) on July 13, 2018.